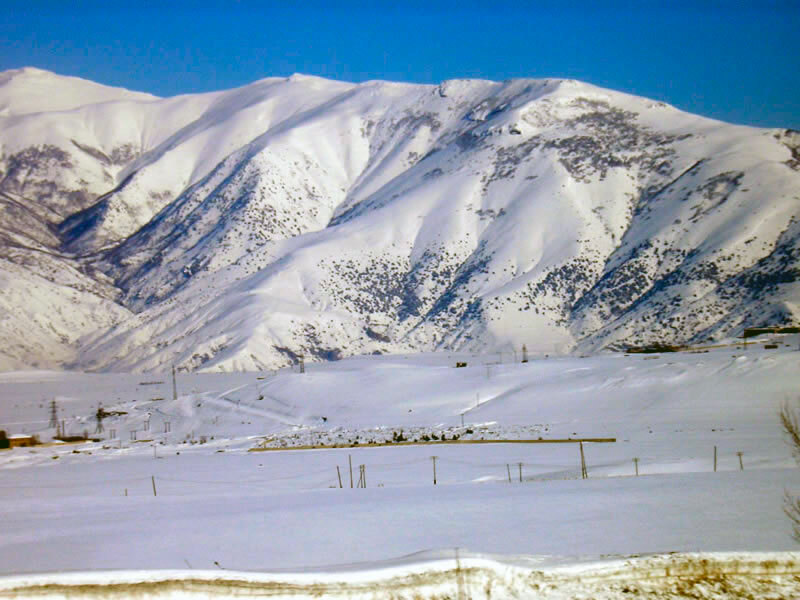 The climate and mountain landscapes of Armenia are perfect for active winter holiday lovers. The country offers several well-equipped resort towns with all the necessary conditions for those who wish to ski, snowboard and just have a good time. These cities will please tourists with well-developed infrastructure, and most importantly – beautiful landscapes, which are unlikely to leave anyone indifferent. 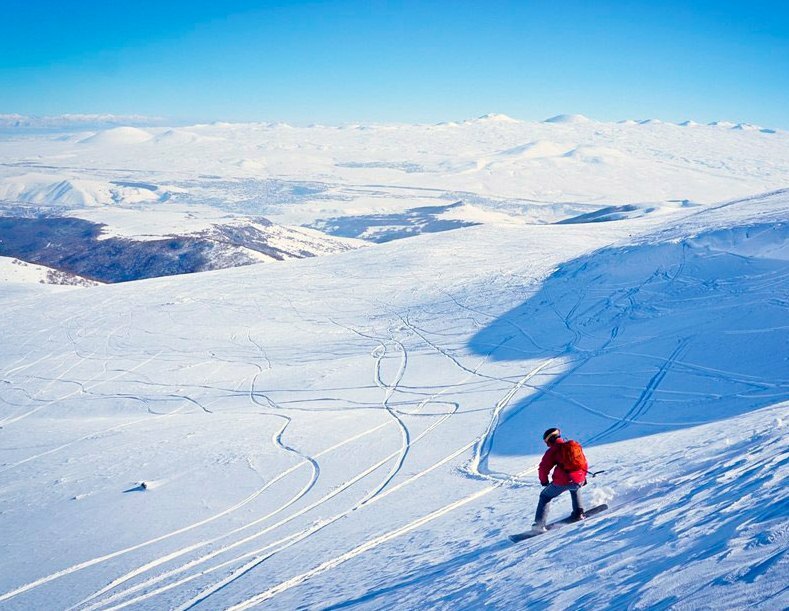 So it is no coincidence that holiday in Armenia is gradually becoming very popular and attractive among skiers and snowboarders from around the world. One of the most popular ski resorts, of course, has always been a cozy town of Tsaghkadzor. It is located approximately 40 kilometers north of Yerevan, in the picturesque valley of the River Marmarik. Even in the Soviet era, famous athletes came here for training that is not a coincidence: in addition to suitable mountainous terrain, the town has a wonderful climate, providing curative effect on human health. The air is crystal clear, and winters are mild with an average temperature -9 C.
The popularity of Tsaghkadzor increased in 2004 when a new modern cable way was constructed at the slopes of Mount Tegenis, it has 4 stations and guarantees maximum safety. Tsaghkadzor will be suitable for skiers of all levels as the tracks are quite various: there are ones for quiet skiing with height difference of 230 meters, and there are black ones with a height difference of 350 m.
If you climb to the highest point of skiing (2819 m), you’ll get a wonderful view of Mount Ararat, the symbol of Armenia, and Lake Sevan, the pearl of Armenian nature. The ski equipment can be rented here for very low prices. For example, the rent of a ski set for one day will cost just $ 10.5, and a set of snowboard – $ 14.5. Visitors can also take an experienced instructor who will train them. The choice of the hotels in Tsaghkadzor is great: for any taste and pocket. You can choose luxury hotels that meet all European standards, or choose something more economical with good conditions and decent service. For travelers with large families, there is a great opportunity to rent small cozy cottages. The vacationers usually combine their holiday with a visit to attractions. In this small town, you can visit a unique monastery complex Kecharis built in XII-XIII cent., or an interesting museum of brothers Orbeli who were famous Armenian culture and science representatives. The tourists who chose the tour to Armenia try to necessarily visit this wonderful picturesque town of Tsaghkadzor. And it is important to note that according to some feedback there was no any traveler who got disappointed after the visit. Jermuk is the other popular resort of Armenia situated at a distance of 178 km from Yerevan, which will take two and a half hours away by car. On the way, you can visit the unique medieval monuments, fortresses and castles, admire Ararat and even stop in Areni village and see the winery. Generally, this cozy green town is famous for its healing mineral waters and curative climate. 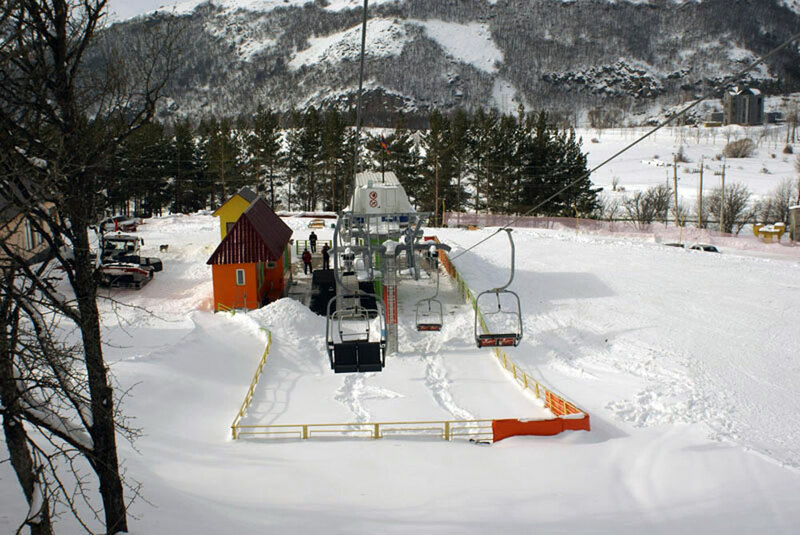 But in 2007 Double Chairs cable car was built, and the city became popular as a winter resort as well. The ski tracks are only two: one for beginners (1400 m) and the other for experienced skiers (1300 m) long. All of them correspond to high standards. You can take a ski or snowboard set for a rent just near the cable way. The rent of ski set for one day will cost $12,5 and of a snowboard for $20. At the intermediate stations, there are cozy cafes where you can eat and relax perfectly. By the way, unlike Tsakhkadzor in Jermuk it is not windy at all. We recommend paying attention to Jermuk especially if you are planning a vacation with children. The city has really very favorable atmosphere in all respects. The neighborhoods of Jermuk are rich with unique historical monuments, among which the most famous are the monastery Gndevank, Astvatsatsin, Noravank, Tatev. Jerry - who has written 38 posts on travel-wire.com. Seek a Government job? Oops, you’ve got a criminal record. What to do? You’ve Booked Your Trip to Bali, Now What? Wire yourself up to our e-mail newsletter to receive travel updates and tips on destinations around the world. Join The Travel Wire Crew on Facebook!